Due to open early next year, the former 141-bedroom Savill Court Hotel and Spa, just 7 miles from Heathrow is being transformed into a luxury, 210-bedroom property and conference facility. The event was hosted by Arora Group founder and chairman Surinder Arora and strategy director Sanjay Arora. The ceremony (below), held to mark the topping-out milestone and thank those involved so far, was also attended by key stakeholders from the Arora Group and representatives from Windsor’s business community. 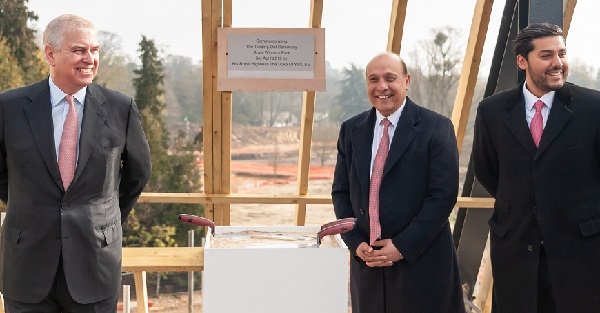 Surinder Arora said the new building would preserve the “aesthetic quality” of the former Savill Court, with its Jacobean architecture and red-brickwork features. “Our new hotel will set the standard of elegant hospitality infused with authentic wellness,” he added. As well as the 210 bedrooms and suites, the new property will feature a ballroom with capacity for 500-plus guests, fine-dining and all-day-dining restaurants, a champagne lounge, tea salon, separate bar and spa and wellness facilities.